Are You in a Celiac Menu Food Rut? Good day to you. Many of us live fast-paced lives which causes us to put an important part of our lives, eating, on the back burner of priorities. This causes a lot of us to purchase the same food items week-to-week and not exploit the many nutritional food choices out there. 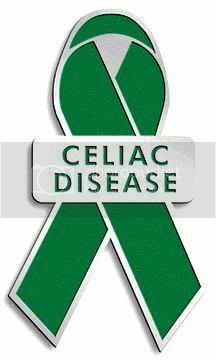 For celiac disease survivors this can be especially problematic as nutrition is more important due to eating gluten prior to diagnosis causing malabsorption issues. How often do I want or need to go to the various food markets I shop at? Do I shop for food items based upon sales advertisements? Do I shop for food items based upon coupons I’ve collected? How many specialized diets (i.e. gluten-free, non-dairy, vegetarian, etc.) am I shopping for? Do I have specific food item cravings often? How much time can I dedicate to cooking each meal? There may be additional questions you may need to ask yourself depending on your personal and family lifestyle. Feel free to write those down with corresponding responses as well. Now, what do you do with this information? The information you gathered may be used in several ways. I would start by setting up your grocery shopping to be the same day every week or however often you need to go to the markets. Pick the day when your grocer has published new sales advertisements, for example. By going the same day you are establishing a routine. This routine will ultimately allow you to “schedule” yourself time to create the grocery lists of food items you need the day before. Why do I mention scheduling time for yourself to create your grocery lists on the day before you do your food shopping? So you can make a food plan, or create a menu, for the coming week or other time duration until the next grocery shopping day. Remember the questions you answered above? Based upon those responses, you can make outlines of what you’ll need to purchase on grocery shopping day. Now here’s the bonus, positive part of creating a menu for yourself and your family. This is the part where you can pull yourself out of your “menu food rut!” Remember I recommended you “schedule” the day before grocery shopping to create your grocery lists? Well, if you are creating a menu, then you can find new and interesting foods and recipes to try so you are not purchasing the same foods over and over! If you are a celiac survivor, you can also take this time to confirm “new to you” food items needed are gluten-free. When you have planned your menu, guess what? You now have a stress-free grocery list with no forgotten items! By creating menu plans and then grocery lists, you are guaranteeing yourself and your family variety, nutrition, and health. Research, educate, and advocate all celiac and gluten-free. Good day to you. Today I have the pleasure of offering you a great guest blogpost by an awesome Fitness and Nutrition coach, Mrs. Gillian Stephen, who I’ve recently met via Twitter. I’m a Fitness and Nutrition coach and also a mother of 2, a 1 year old and a 3 year old that keep me very busy. The main areas that I focus on are weight loss and pre and post natal. The latter certification was brought about by my own pregnancies. I realised the importance of my own diet and fitness through pregnancy and post natal, to regain my shape and prior fitness levels. I support individuals by helping them put together a strategy for weight loss. It incorporates making better food choices and fitting exercise into their busy schedules such that they lose the weight and keep it off, a lifestyle change. Let’s face it none of us are getting any younger, so the old adage of,”Use It or Lose It” with regards to your fitness levels, becomes even more crucial as we age. I personally don’t fear getting older but my wish is that I am healthy, so as not to be over reliant on others. At the same time maintaining a healthy lifestyle does not guarantee no ailments but you reduce your risk and your body is more able to fight disease. Your fitness levels are not a given and as you age if you are not actively working at maintaining your fitness levels it will decline. This is something that I have experienced at first hand after both my pregnancies, where it took time to regain my prior fitness levels having not trained as intensely or as frequently because of physical and time constraints. A study done in 2010 at the German Sport University Cologne and published in the journal Deutsches Arzteblatt International found that a decline in fitness is less as a result of ageing but more attributed to a sedentary lifestyle. It looked at a group of marathon and half marathon runners ranging in age from 20 – 79. It found that, when the older athletes continued to train for the same duration and frequency as the younger athletes, there was a very gradual drop off in their performance. Another study done last year at the University of Missouri-Columbia and published in the Journal of Applied Physiology appears to reinforce this. It also found that an active lifestyle reduces age related risk factors whilst a sedentary lifestyle can in fact accelerate ageing, with a loss in muscle mass and a decrease in bone density and strength. So what does this mean for you? How regularly do you currently exercise? You should be doing moderate amounts of aerobic physical activity for at least 150 mins a week or vigorous physical activity for 75 mins a week and at least 2 strength training sessions per week. Try to aim for 30 mins a day, 5 days a week of physical activity. Your workout routine should consist of cardio to get your heart rate up, burn calories and increase the efficiency of oxygen consumption e.g. walking, running, cycling, swimming. Strength training to boost metabolism and help build muscle and tone e.g free weights, body weight, gym machine. Flexibility and balance work e.g. yoga, pilates, stretching. Don’t wait until you start to feel the effects of ageing or you need to exercise, start now laying down a good foundation to reap the many rewards. Research, educate, and advocate all celiac and gluten-free. Educate yourself on the benefits of being with Fitness and Health so you may enjoy a more active lifestyle longer. Good day to you. Today I’m honored to introduce a special guest blogger, Ms. Jillian McKee. Ms. McKee has worked as the Complementary Medicine Advocate at the Mesothelioma Cancer Alliance since June of 2009. Ms. McKee spends most her time on outreach efforts and spreading information about the integration of complementary and alternative medicine when used in conjunction with traditional cancer treatment. You have a lot on your mind when you are going through cancer. Whether you have just been diagnosed, are in the middle of treatment, or are in recovery, it is difficult to keep track of everything that you need to do to survive this disease. Switching to a vegetarian diet can help you solve two problems at once. Eliminating meat from your diet will positively impact your health in several different ways while adhering to a vegetarian diet can make it easier to plan proper meals while dealing with cancer. Most vegetarian diets are naturally higher in fiber. Physicians cannot stress enough the importance of eating enough fiber. This substance’s ability to clean out your digestive tract plays an important role in keeping down your weight, lowering cholesterol levels, and maintaining your energy. When people switch to a healthy diet, they usually report lower levels of stress as well. Much of this may be an indirect result of the weight loss that typically follows such a change in habits. Vegetarian diets are high in more than fiber. At the very least, when you avoid meat, you lower the amount of toxins entering your system. A properly balanced vegetarian diet plan will include many antioxidants and various herbs that help your organs cleanse your bloodstream and reduce cell damage. When you switch to vegetarianism, you will probably experience a renewed sense of energy. This is not a magical effect but rather a natural result of a plant-based diet. Most people who avoid meat will also feel much lighter. This is a result of the intestinal tracts being cleared of so much extra weight. An average person in a developed nation may have several pounds of meat and processed foods clogging their digestive tracts because they do not eat enough fiber. While the newer, lighter state of being is positive in itself, it also makes it easier to do things such as exercise and stay focused on keeping healthy during treatment and in recovery. There are many types of vegetarianism, so you should not quail from considering this change because you fear that you will never taste good food again. A vegan is a person who completely excludes all animal matter and any foods related to the service of animals from his or her diet. There are also lacto-vegetarians, who permit themselves to drink milk, and ovo-vegetarians that eat eggs. If you have just experienced a mesothelioma cancer diagnosis or are undergoing treatment for some variety of cancer, take a look into the vegetarian lifestyle and see if you could make it work for you and your health. Research, educate, and advocate all celiac and gluten-free. Expand your mind with the information others provide on something you may not have known. Good day to you. I want to go back to the beginning and Day 1 of the diagnosis you received – celiac disease. Do you remember that day? Personally, I don’t as I was diagnosed at the age of 5 1/2. Many celiac survivors, however, are diagnosed in their early to mid-adulthood of lifespan. What emotions do you remember? How did you feel physically in coming days, weeks, and months after your diagnosis? The reason I want to go back to the beginning of celiac disease diagnosis is because many of us forget what the initial emotional and physical shock felt like when we were diagnosed. Not to mention the anxiety of always wondering: “Did I get glutened, or is that gas?” Imagine the person standing next to you on the sidewalk or in the subway as being newly diagnosed with celiac disease. It would be a rather formidable experience to repeat wouldn’t it? Newly Diagnosed with Celiac Disease— Now, What Do I Do? I’m Newly Diagnosed. What Questions Should I Ask My Doctor? How is Celiac Disease Diagnosed? I hope you find the weblinks above helpful to you. These links were found by me typing “celiac disease and newly diagnosed” in my favorite search engine. If you require information specific to your celiac diagnosis, type in what you’re looking for and chances are you’ll find the information. In closing, I would highly recommend newly diagnosed celiac survivors join the Twitter conversation if you haven’t already. There, you can meet like-minded Tweeps who can be a very valuable resource for you with any questions you may have. You may follow me via @GFDougie on Twitter. Good day to you. We, TR Crumbley and GFDougie, are collaborating on a joint blog post in regard to summer grilling and cookouts with safety and health in mind for you, the gluten sensitive and celiac survivor. We hope you find this information beneficial for your own social summer cookout event or in attending another’s as a guest. Memorial Day has just passed a few weeks ago, ushering in the beginning of summer. The incoming summer season brings all the fun, classic outdoor activities we all love; amongst them outdoor grilling and the equally important side dishes at these cookouts. Those of us with gluten sensitivity or surviving with celiac may assume that grilled foods are easily gluten-free. However, the possibilities of cross contamination exist even when cooking on a hot grill. For those of you who may not know, cross contamination is the instance where gluten-free food is exposed to gluten through actions such as cooking on the same surface of or using the same utensils on foods containing gluten. 1. On a day before you attend the cookout, please talk to the hosts and let them know you’ll need to eat gluten-free and let them know why. Depending on how comfortable you are with the hosts, and how knowledgeable they are of your gluten sensitivity or celiac survival needs, be sure to have a detailed dialogue so the hosts knows of your food restrictions. They may be even flexible enough to use a dedicated grilling surface just for you, gluten-free. 2. Clean the grill or have the hosts clean the grill thoroughly before cooking. By having the grill cleaned beforehand, you’ll reduce any amount of any residual gluten from the cooking surface and reduce gluten cross contamination chances. 3. On the day of the cookout, do not assume your hosts remember everything about gluten cross contamination. Provide your hosts with a friendly reminder to dedicate a portion of the grill for gluten-free grilling or have them cook your foods first. 4. Wrap your food to reduce the risk of gluten contamination. For foods such as corn-on-the-cob that can be cooked while wrapped, wrap the food in aluminum foil and then cook on the grill. You’ll get that same grilled flavor without any potential cross contamination of gluten. 5. Keep cooking and serving utensils and serving platters separate for gluten-free. By doing so, gluten can’t cross contaminate from one food to another. What about the side dishes, gluten-free, at the cookout for the gluten sensitive and the celiac survivor? Baked beans via Carol Kicinski, Potato Salad, Coleslaw, Creamy Broccoli and Carrot Slaw via yummly, and Three Bean Salad are some of the many comforting dishes you can easily make gluten-free. Other gluten-free suggestions are gluten-free chips and salsa or dip. Be as creative as your wallet and mind will allow you to be. In closing, we think education and dialogue are important tools in regard to the gluten sensitive and celiac survivor in having a positive experience at the grill and neighborhood cookout this summer. With a little preparation and communication, a gluten-free and cross contamination free cookout can be enjoyed by you. Research, educate, and advocate all celiac and gluten-free this summer. What Causes a Celiac to Mimic A Gluten Diet? Good day to you. We all know surviving Celiac Disease is no easy task. Despite that, I’ve decided to raise a very thought-provoking question to my fellow celiac survivors: “What causes a Celiac to mimic a gluten diet?” What caused me to raise this question? The short answer is the feed I receive daily from celiac survivors on Twitter. I see all kinds of gluten-free cookie, bread, scone, french-toast, dessert and other glutenesque recipes. I keep asking myself – why are these tweets so popular and/ or so well-responded to? How are celiac survivors leading a nutrition-filled Life devouring tweets like these as if they are candy? To educate myself, I went to the Stuffed Pepper website to ask that very question: What Causes Celiac to Mimic A Gluten Diet?. To say the least, the responses I received were stark in contrast in regard to what I expected to receive. Glutenesque recipes are very popular on the internet. That said the reasons behind them are as diverse as the originating celiac survivor tweep. Many celiac survivors, I’ve found, are new in their celiac journey and find gluten-free pasta familiar to substitute with what they already knew in regard to gluten pasta recipes. Other celiac survivors, now gluten-free, use their education with different wheat flours and gluten recipes and transpose them with gluten-free flours and create great gluten-free recipes for us on that end. Additionally, many celiac survivors create recipes for us solely based upon the celiac survivor need at large. In that research, I’ve found one common denominator. Celiacs want to help themselves and each other. While celiacs like to mimic gluten ingredients, they don’t always depend on those same ingredients to be gluten-free. Familiar ingredients do create familiar or similar dishes whether with or without gluten. In general, I feel celiac survivors want to educate others with gluten-free options which may be similar to the gluten diet, but with their own twist or touch. Celiac survivors want their cake and eat it and want nutrition as well. Anecdotally, I do observe savory recipe education is on the rise with the celiac survivor on Twitter. This is a trend I hope will continue to expand in coming months and years. Nutrition is of up most importance for the celiac survivor as a result of absorption issues and damage previous gluten ingestion has caused us. Nutritious, meal-time recipes for celiac survivors are a needed educational resource which all should share. If you have such ideas, please don’t be afraid to tweet on Twitter or blog on. Good day to you. 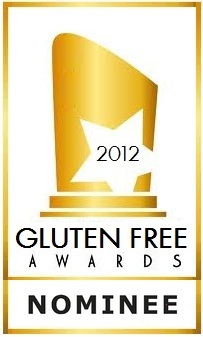 We are coming to the end of May 2012, Celiac Awareness Month, and into the beginning of an important season – Hurricane Season. I think this is a wonderful opportunity to meld the two events together into one blog. As a celiac survivor, I pay close attention to the Hurricane Season as I’m a resident of Florida, USA (central, west coast). I know I will need to rely on myself primarily should a hurricane or other natural disaster hit my locale. Why do I state this? I’ve reached out to American Red Cross in regard to food allergens, celiac, and shelter and they’ve informed me while they can accommodate people with food allergens, celiac, and shelter – their resources are very limited due to budget constraints. What does this mean to you and me, celiac survivor? What this means is this: we, celiac survivors, have to take responsibility in regard to our diet and stockpile gluten-free, celiac foods for ourselves in case of a natural disaster. How many of us have thought of this aspect of our lives in a day-to-day fashion? In light of my recent dialogues on Twitter (@GFDougie), not many of us do. While I don’t have specific quotes from Twitter, many say “OMGosh, I didn’t think of that” or “Being celiac in a shelter never occurred to me!” It’s understated, celiac survivor, but I think we need to find our own gluten-free resources for celiac-friendly foods when facing a natural disaster. I understand I’m blogging to many income-level earners. Money may not be as plentiful and/ or discretionary in regard to what you can afford to stockpile gluten-free in light of an impending natural disaster. That said every effort should be made to stockpile as much as you can, especially if you live in a vulnerable locale, like Tornado Alley, USA. Do what you can to support you, celiac survivor. No one can do this better than you can, celiac survivor. Know no one but you, celiac survivor, will take care of you! Celiac survivor, you need to augment purchasing gluten-free rations into your food budget; either from a grocer, health-food store, or an on-line website. Please look into MRE (Meals Ready to Eat) (I’m not a paid spokesperson) items ahead of any natural disaster. Here’s another resource for MRE. Please know canned veggies, fish and sardines, and soups are also great resources from local grocer for a celiac stockpile in regard to a natural disaster. Also know gluten-free crackers, rice cakes, peanut butter and packaged gluten-free bread may contribute to your natural disaster celiac survivor stockpile. Do what you can to increase your chance of survival of an impending natural disaster, celiac survivor. What knowledge should you take away with in regard to regard to education in regard to this blog? Prepare, like the ants do, celiac survivor. We, celiac survivors, have to work harder to be with health during a natural disaster. Know you can’t depend on others for our celiac disease. Know you can depend on you for education in regard to what foods you can eat in a natural disaster. In closing, I hope I’ve opened a few windows in regard to tips us celiacs can use to survive a natural disaster. I hope you will pass these tips on in regard to celiac disease and awareness. Research, educate, and advocate all celiac and gluten-free – and Celiac Disease Awareness for May. Do You Have Celiac Disease and Are Currently not Diagnosed? Are You Prepared / Are You A Disaster Survivor?